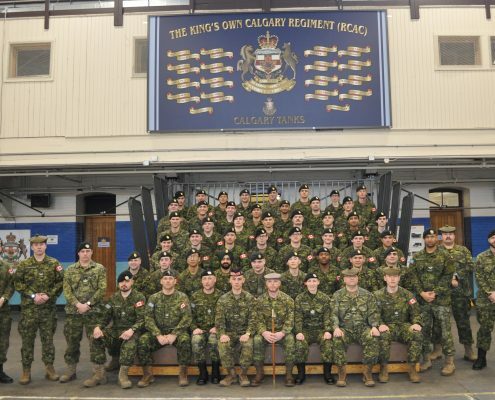 The Reserves in Calgary have a number of unskilled and skilled jobs open to both men and women. You will operate and maintain a tank or reconnaissance vehicle, its weapon systems and its communication equipment. You will be trained to fight as members of the Combat Arms team. As a member of the KOCR you will concentrate on reconnaissance. As a member of the Armoured Corp you have will have opportunities to work with the tanks. Contact recruiting.kingsownyyc@gmail.com for more information. The Resource Management Support Clerk is responsible for administrative affairs of the Regiment, including entering pay and allowances, making travel arrangements, processing claims and answering questions related to pay and allowances. The King’s Own are recruiting 3 to 5 part-time clerks over the next 2-3 years. Contact recruiting.kingsownyyc@gmail.com for more information. Your function will be to provide musical support at a variety of functions for the CF. Musicians play a musical instrument in various musical ensembles performing as section members, principal musicians or soloists. They perform stage set-up duties and selected members may be appointed and be employed as a Piper or Pipe Major and a Pipe Band Drummer or Pipe Band Drum Instructor. Contact recruiting.kingsownyyc@gmail.com for more information. Armour has two roles in battle: reconnaissance and direct-fire support. 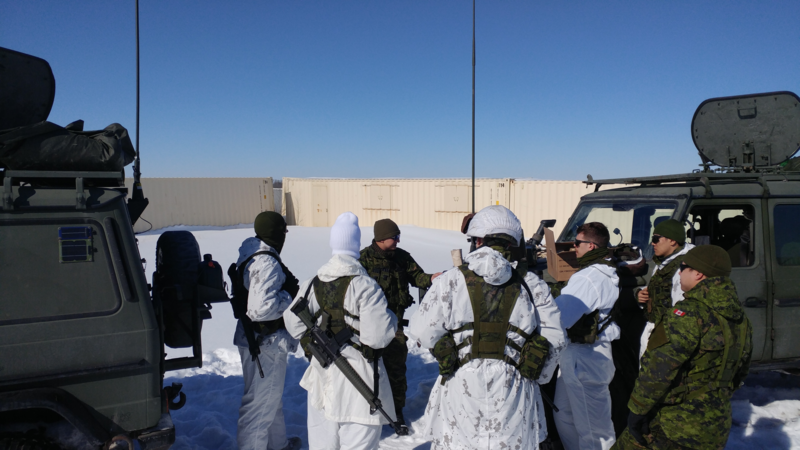 You will be responsible for your soldiers’ training, morale, discipline and combat efficiency, and for the operational readiness of their equipment. You will employ advanced equipment and techniques to search and destroy enemy targets. As a member of the KOCR you will concentrate on reconnaissance. As a member of the Armoured Corp you have will have opportunities to work with the tanks. Contact recruiting.kingsownyyc@gmail.com for more information. Meet the CF medical standard and successfully complete tests, background checks and interviews. Be free and clear of any legal obligations to the courts. Click here to visit the CF Recruiting website. You will be provided with the various forms to be filled out, and the list of required supporting documents; or you can download the forms from our website. Note: If your are applying as an officer minimum educational requirements apply. You may contact a recruiter at any time if you have any questions or require assistance. As part of the Recruiting process, you will be required to complete the Canadian Forces Aptitude Test (CFAT). This test is used to select applicants for employment, and to help determine specific Military Occupations you are best suited. The document titled ‘Preparing for your Aptitude Test’ may be helpful. Some applicants have experienced problems with the math portion of the CFAT. Applicants are required to have completed grade 10, so it is fair to assume that a good knowledge of grade 10 math would be the minimum needed. You can prepare yourself with grade 10 math textbooks, GED materials, and you can find more information on the Public Service Commission of Canada website. All applicants undergo a full medical to ensure they are fit to handle the various physical and mental stresses they could encounter while serving. This includes working in extremes of climate and temperatures. The Government of Canada Security Policy requires that all potential employees, including Canadian Forces applicants, undergo a security screening process if their duties may require access to sensitive information and/or assets. Applicants cannot be formally appointed to a position or have access to sensitive information and/or assets until the required screening has been completed successfully. The first process in the Security Screening Process is the Enhanced Reliability Check, which all applicants must successfully complete prior to enrolment in the Canadian Forces. The Enhanced Reliability Check assesses whether an applicant can be expected to be reliable and trustworthy in the performance of his or her duties. The Enhanced Reliability Check verifies personal and employment data, education and professional qualifications, references, a criminal record check and a credit record check. As part of the Recruiting Process, you will be interviewed by a Personnel Selection Officer. You should review the document titled ‘Preparing for your Interview’ By going through this document, you will prepare yourself for your interview.